Some people fear vampires, werewolves, and zombies because those creatures all act with their primal and most basic instincts… usually hunger. No one wants to be eaten alive or sucked dry, so yeah, we understand that. However, we think there is something even scarier. Aliens! Life forms from the depths of outer space that have superior intelligence as well as technology more advanced than we could fathom. If they were to visit Earth, would they come in peace? Maybe. Could they sell the human race into slavery around the universe and drain the planet of its resources? Oh, most definitely! 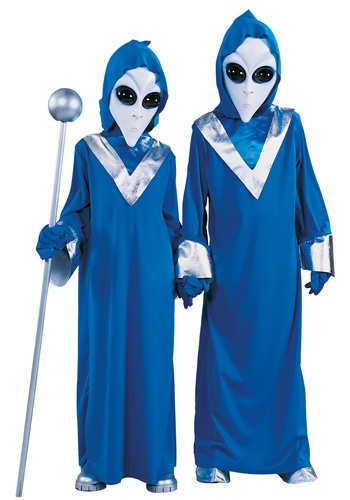 If you want to give your little one an out-of-this-world Halloween or ensure his safety during an actual alien invasion this Child’s Space Alien Costume is exactly what you need!